Muriel Tramis has a quiet but powerful legacy in gaming. 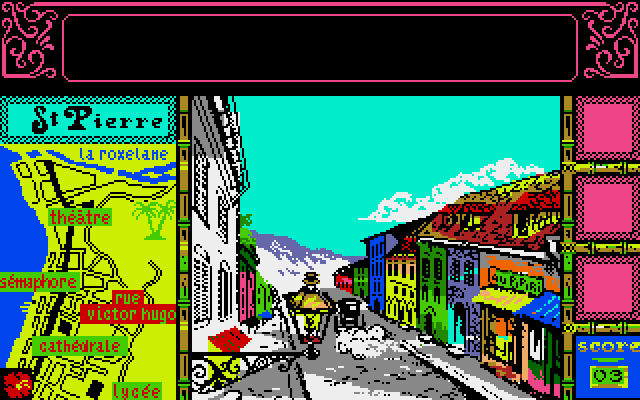 As a designer and producer at French studio Coktel Vision starting in the late 80s, Tramis worked on about a dozen titles, like the puzzle series Gobliiins. But she may be known best for her socially charged games inspired by her family’s history on the Caribbean island Martinique, such as the colonial mystery game Méwilo and the incendiary slave rebellion game Freedom: Rebels in the Darkness. Tramis left Coktel Vision in 2003 after the company merged with Vivendi Universal Games, and she’s kept a low profile since then. 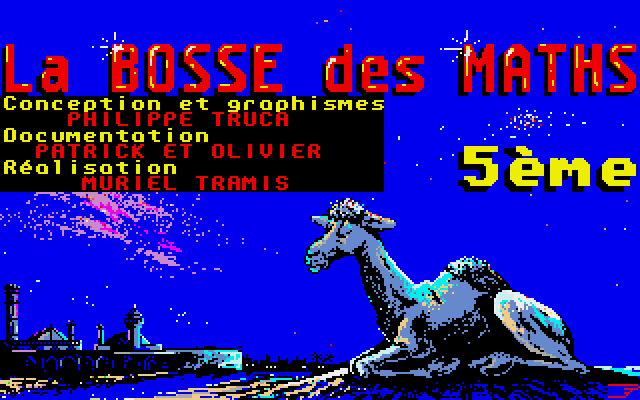 Now, Tramis is stepping back into games with a remake of Méwilo, her first game, for its 30th anniversary. Tramis launched a crowdfunding campaign for the game last week. To promote her return to gaming, Tramis unexpectedly contacted me a few weeks ago and, in one of her first interviews in English, shared more about her time with Coktel Vision, the importance of historical memory to her work, and what she’s been up to for the last 15 years. Tramis’s interest in games came from a lifelong love for technology and science. She grew up in Martinique but left for France at age 16 to study engineering at Institut supérieur d’électronique de Paris. Surprisingly, before joining Coktel, she worked in the weapons industry, spending a five-year stint with French manufacturer Aérospatiale programming military drones for missile testing. So in 1986, Tramis went to Coktel Vision. She started at the small company as part of a marketing study on palettes in advertising but quickly became a game designer. 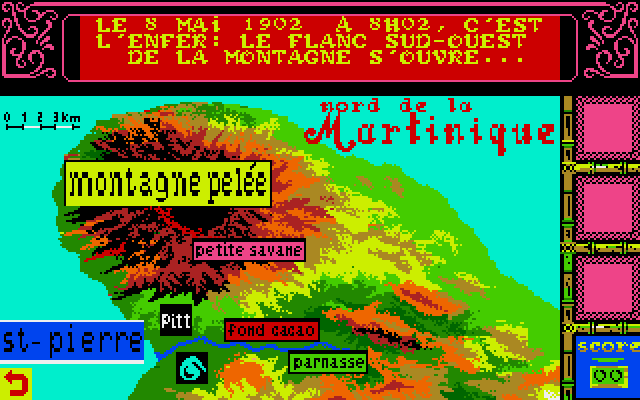 The game takes place in Saint-Pierre, Martinique on May 7, 1902, the day before the town was destroyed by the catastrophic eruption of Mount Pelée. You play as a paranormal psychologist summoned to Saint-Pierre to investigate a zombie – the spirit of slavemaster who haunts his plantation. 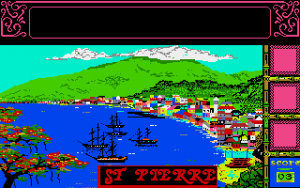 To solve the mystery, you explore the history of Martinique and confront the legacy of French colonialism, how slavery and rebellion shaped the island. “Almost all my titles were inspired by the tropical zone,” she said. 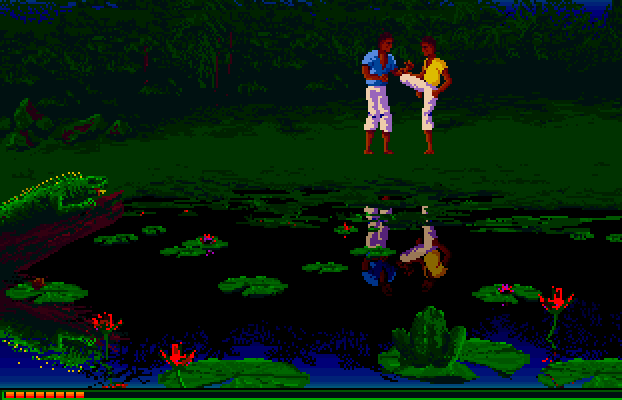 “Caribbean, Brazil, Florida… only Geisha went elsewhere.” Freedom would later depict a slave rebellion in the same plantation as Méwilo, and Makandal, a slave from Freedom, appears in her game Lost in Time. Tramis previously declared she had a responsibility to tell the stories of her ancestors, and she echoed those comments. “Any novelist or filmmaker connects with the desire to speak about oneself, one’s own history, one’s place in the great history. It’s the same for video games, which is a medium of expression like any other,” she said. 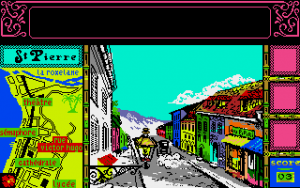 Some of Tramis’s other games focused on social topics as well, like the cartoony adventure game Woodruff and Schnibble of Azimuth‘s focus on class, labor, and capitalism. In these cases too, she talked about those themes as useful innovations. “It’s just an interesting dramatic spring. Having to free yourself from oppression or escape from a machination works well in an interactive scenario,” she said. While all this was happening, Tramis also pursued a lesser-known career developing educational games. Coktel Vision began as an educational game company, which was one of her reasons for joining the studio. (“I always liked teaching. I could have been a teacher!” she said.) 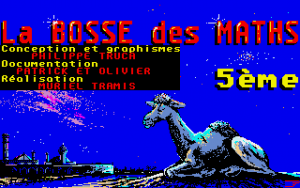 Tramis was “convinced of the pedagogical potential of video games” and led the development of La Bosse des maths, a series of math games for an elementary-aged audience; with her own experience loving science and technology at a young age, she specifically wanted to make the Bosse des maths games for young girls because “I wanted them to be less afraid to embrace a technical career.” She also co-created the Adi and Adibou educational franchise, which continued after her at Coktel Vision until the company closed in 2011. When Sierra purchased Coktel Vision in 1993, Tramis began working with larger teams in more of a production management role. But it didn’t change her approach to development. If anything, it improved their outlook. “With Sierra, the internal mood has not changed much,” she said. “We became aware of having a wider audience outside of Europe and took even more care in our developments. […] [We] remained a human-sized studio. “When Vivendi Universal occurred and Roland Oskian left, that changed. No more freedom. Profitability first, less risky decisions.” Tramis exited the game industry a few years later. She instead chose to explore new applications for her interests in computer art and educational tech, and in 2003, she started Avantilles, an enterprise 3D modeling company. “I wanted to apply virtual worlds technology to urban planning, architecture and archeology,” Tramis said. 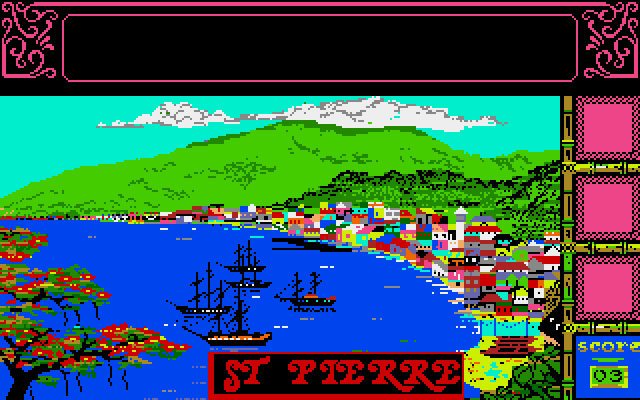 “It was a growing field but certainly less creative.” The same ideas she pursued in games continued in her work here: one of her larger projects was a reconstruction of 1902 Saint-Pierre, the same city from Méwilo. During this time, Tramis wrote two novels that continued her commitment to cultural history, the semi-autobiographical Au coeur du giraumon and Contes créoles et cruels, a book based on supernatural Martinican folk tales. She also said she’s working on a retrospective of her experience at Coktel Vision. As far as Malavoi goes? She recommends Le meilleur de Malavoi, their greatest hits album. This interview was edited for clarity with Tramis’s permission.